We customize our award-winning wedding services since every couple is unique. If these guidelines below fit your budget and style, we would love to sit down and chat with you at our studio theater to see our fine art products, view a full portfolio, and meet Judd in person. 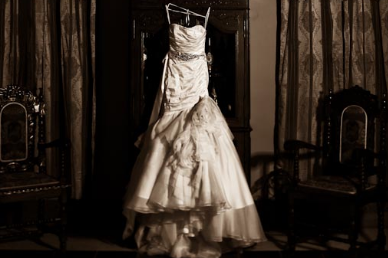 Judd Sather Photography is our signature brand photography and is the ultimate full-service wedding experience with unparalleled customized service, creativity, turn-around time, personal album design, and quality fine art products. 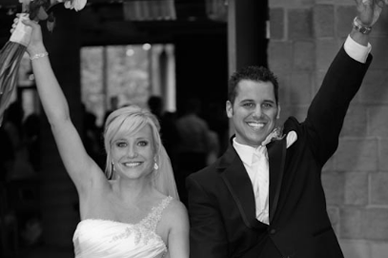 Judd Sather is involved personally at every stage of the wedding and post‐production. Reception same-day slideshows are available at most weddings. Judd’s style is a blend of motion posing, story shooting, and a touch of high fashion for a stunning collection of images. Investments start at $5000 for up to 6 hours of coverage, unlimited locations, unlimited images, and digital negatives. Award-winning coverage and editing that can be coupled with Judd Sather Photography, Studio J Photography. Edited HD videography starts at $3,000 for the day with one camera, $4,000 for two cameras and wireless microphone. Photography options include: custom fine art thank you notes, save-the-date cards, fine art storybook albums, parent albums, fine art canvas gallery wrap prints, and much more. Please visit our studio to see the breathtaking quality of these albums in person and chat about your day. Contact us for more samples, with questions, or to schedule a meeting and a full portfolio review. If you're a high school senior who wants highly creative images to reflect your unique personality, you've found the right place! We shoot only 125 senior sessions per year, so hurry to reserve your session and guarantee your spot for this exclusive experience! Includes a 4 to 5-hour session, up to 9 clothing changes, and indoor studio session plus 2-3 hours of shooting along the beautiful St. Croix river with up to five of your family and friends on Studio J's deck boat! Bring your own beverages and snacks. Includes a 3-hour session, up to 7 clothing changes, and indoor studio session plus outdoor location of your choice (Downtown Minneapolis, your home, etc.) Ask us about out-of-state elite sessions! 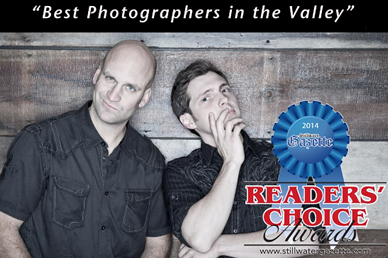 Includes a 2-hour session, up to 5 clothing changes, and indoor and outdoor portraits in downtown Stillwater. This is our MOST POPULAR session. 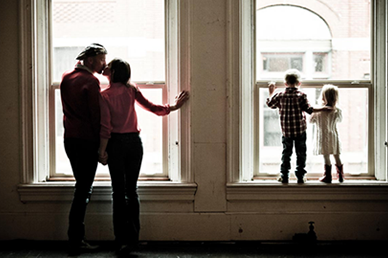 Includes a 1-hour session, up to 3 clothing changes, and indoor and outdoor portraits in downtown Stillwater. Sessions are paid at the time of scheduling, and minimum investment of $600 is paid when original proofs are picked up 4-5 days after the session. + Minimum collections start at $595 and include 3-5 retouched favorite images and 17+ prints with a mixture of 8x10s, 5x7s, and original proofs. Inclusions include retouching of all final images images, yearbook image delivery, 15+ minute “BFF” session (bring them along for pics! ), complimentary BFF duplicate 5x7 print, upload to Facebook, smartphone album (installs app on any smartphone or other devices! ), and 50 referral cards / wallets as well! Detailed pricing is given out after the session to view before the ordering session. Most seniors invest $595-$1500 in their senior collections, and it really depends on how many images are kept so we like you to see the "art" before deciding what you would like to keep and print! If you're a highly influential and involved high school senior, you may be interested in our exclusive ambassador program. Starting February-April of your junior year, we will gift you a complimentary preview session (30 minutes and 2 outfits) and other bonuses and discounts! Ambassadors for our studio help spread the word about our studio by getting their portraits taken early, coordinating a spirit session of up to 50 friends, and providing a list of names of their friends to which we send gift certificates. If you are interested in an interview for the ambassador program, please fill out the form on our Facebook page or Blog and contact us at 651-342-1476 or info@studiojphoto.com to schedule an interview and studio tour. "You are invited to Studio J and Judd Sather Photography on _________ for a pizza party and photo booth session where we will each receive up to two 4x6 prints and images will be posted on Facebook. Please wear plain black shirts and jeans! Gift certificates with some of the images will be sent to up to 50 of our friends. Anyone who comes to the pizza party will receive 50% off Elements or Basic session from Studio J as well! Let me know if you can make it!" ​2014 Reader's Choice Award "Best Photographer in the St. Croix Valley"
2013 Reader's Choice Award "Best Photographer in the St. Croix Valley"
2012 Reader's Choice Award "Best Photographer in the St. Croix Valley"
Here are a few recent, unsolicited cards and e-mails we have received... leave your own rave on our Facebook page if you like! Hi Judd and Josh, Now that I'm back from the honeymoon - I wanted to make sure I sent you a HUGE thank you for how amazing you both were on my wedding day. Austin and I kept talking about how glad we had you guys as our photographers. You guys went above and beyond to help ensure everything went smoothly - and for that, I'm so thankful. On top of all of that - the photos I have seen so far have been amazing, and I'm not joking when I say EVERYONE keeps talking about how much they loved the slide show after dinner. Judd: Steve and I watched the video early this morning and were both so touched by it – I love how it was put together, and having something like this that captures how much we care about each other is so special. We had such a fun time shooting with both of you and you made it so easy to just relax and be ourselves. You were able to bring out our personalities and reflect who we are through the photography and video. Thank you so much for everything! I knew the moment I saw your work that you were amazing photographers. I also wanted to say thank you so much from everyone involved with our wedding. You and your staff were incredible and so fun to be around. I'm actually kind of sad that I don't get to hang out with you guys again :o(. You really made our wedding day the best it could be. You were so organized and energetic, and as you know from the first day we met, I am in love with your photography. Your laid-back style fit with Ben and my personalities completely. I just want you to know that if you need a testimonial or anything just let us know. We owe you! Thank you SO SO SO much for the album, calendar, canvas and DVD. We love everything! I am so happy with our pictures. I think that having you as our photographer was one of the best decisions I made for the wedding! I love the end of the growing up video. It definitely made me cry! I just wanted to say thanks one more time. I appreciate your hard work and artistic talent. You are exactly what we wanted in a photographer! Studio J is an amazing!!! Judd's attention to detail is excellent. His concepts and ideas are phenomenal and he is more then willing to work around a budget. I would STRONGLY recommend him for any event! ~Amoreena Happy Customer of Studio J. We offer the following sessions at Studio J and Judd Sather Photography: Mini, Lifestyle, Elite, Senior Basic, Senior Elements, Senior Elite, Maternity, Baby Panel, Avatar, and Model Portfolio. Any session can be upgraded to add shooting with a boat cruise on the St. Croix for $100/hour! Sessions include a pre-consultation and studio tour (if desired), time & talent of lead photographer, lighting specialist, artistic editing of the best images, and a 1-2 hour ordering session. At the ordering session we will show you our favorite 25% of images captured and let you narrow down from there. Feel free to bring family and friends to the ordering session in the studio theater. For wardrobe, wear comfortable clothes and solid colors that compliment each other. Wear lighter or darker colors when it is nice and green outside and wear colorful clothes in winter or early spring. Textures and layers show up well on camera, stay away from stripes and patterns that are distracting. We will pick backgrounds that work well with your wardrobe choices so don’t fret! If you can't decide, bring options and we'll help you choose. Detailed pricing will be given after the session to look at before your ordering meeting. Prints can be ordered one at a time starting at $75. Collections start at $595. All ordered prints are uploaded to Facebook if desired! Seniors: Bring your BFF(s) for all or part of the session! This is our most popular session for families and usually lasts 45-90 minutes. We'll capture about 150 formal and candid images of your family in both indoor and outdoor studios. Engagement, Maternity, Fashion, and Anniversary sessions would fall into this session category. Mini-sessions last up to 45 minutes and are most popular with young children. Two outfits are included as well as indoor and outdoor shooting. The Elite session is popular with our high school seniors and families that want to shoot on location – anywhere within 45 minutes of our studio and we plan for up to three hours of travel and shooting. Session is typically split with 45 minutes in the studio and up to two hours at a different location if desired. See "Senior Details" page for more senior info! 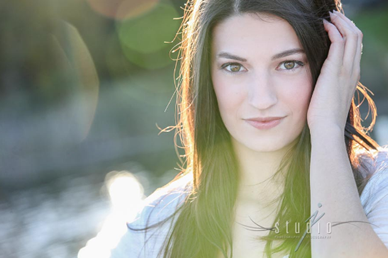 This is our most popular senior session and includes up to 2 hours of indoor/outdoor shooting. Bring up to five outfits: one classy, one light, one dark, one with jeans, and one with senior activity “stuff” if applicable. See the "Senior Details" page for more info. This is the most popular session with our senior guys: bring up to three outfits and includes up to 1 hour of indoor and outdoor shooting. See the "Senior Details" page for more info. Baby Panel Sessions are three mini-sessions (choose from maternity, newborn, 3-month, 6-month, 9-month, or 1 year). Included is a 10x20 collage (one image from each session) - this session is a very popular gift for new moms! Aimed at business professionals, the Avatar Session includes a 15-minute mini-session, immediate ordering meeting, and three limited released digital files. Contact us for licensing details. This session is for marketing representatives, promotional models, spokespeople, and professional models looking to build their portfolios. Retouching and twenty images are included (suggested five images from each category, but not necessary): Headshot, Professional, Full Length, and Swimsuit/Fitting. Full portfolio sessions last 2-3 hours. Hair/make-up, styling, custom card design, and broad release of images available upon request.